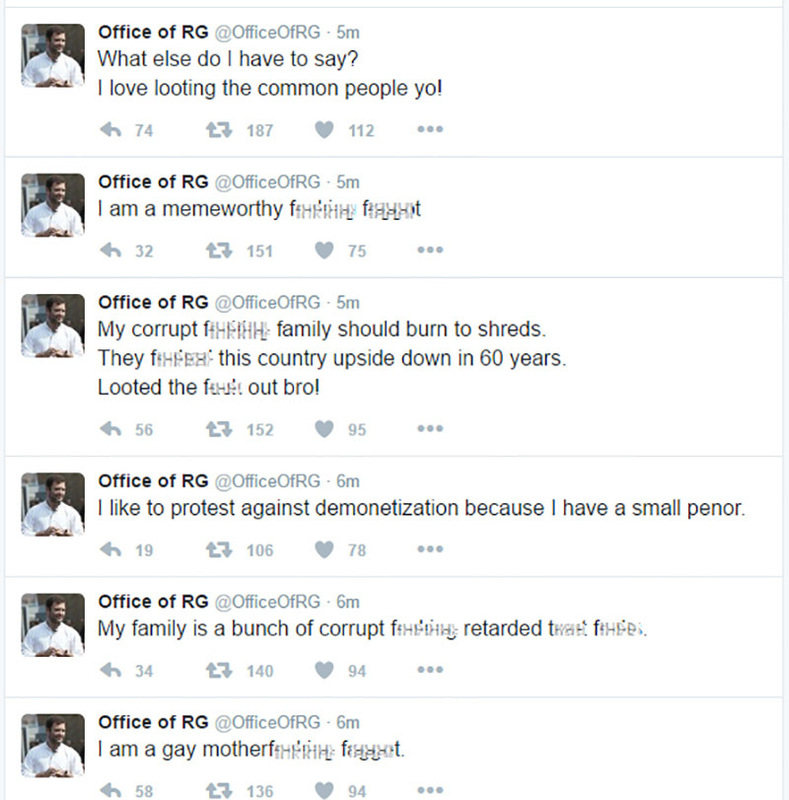 Home Trending Rahul Gandhi ‘s Twitter Account Hacked! Abusive Tweets follow! Rahul Gandhi ‘s Twitter Account Hacked! Abusive Tweets follow! 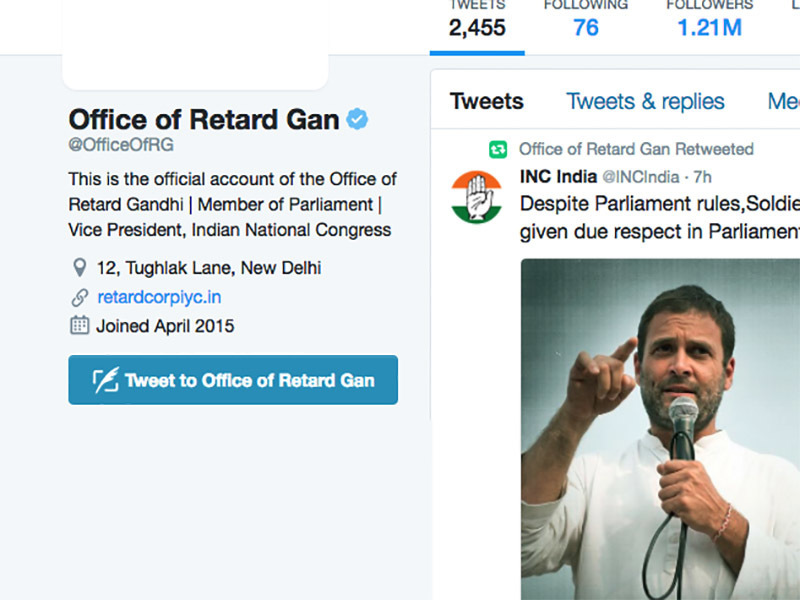 The Official Twitter account of Rahul Gandhi has been hacked and there has been a series of abusive tweets since then. This has happened on Wednesday evening. The account has approximately 1.21 million followers. There has been no further announcement made regarding the issue. However, the abusive tweets have been taken down but they were followed with new ones immediately. The twitter handle of Rahul Gandhi has supposed to be hacked by a group of hackers called “Legion”. This has been concluded by one of the tweets. The hacker group seems to have access to the profile for about an hour. The tweets that did not revolve around demonetisation were outright abusive towards Rahul and his family. Those who hacked the account have even changed the bio of the profile.